With Paul Byron nearing a return and the recent acquisition of Dale Weise, Montreal needed to open up a roster spot fairly quickly. They did so by placing Kenny Agostino on waivers on Sunday but he was snatched up by the Devils off the wire on Monday. Agostino joined Montreal back in July as one of their free agent acquisitions. He was earmarked to play in Laval and cleared waivers at the beginning of the season to join the Rocket. He did quite well in the early going with four goals and six assists in 12 games, earning himself a recall in early November. While he initially wasn’t expected to be up for too long, Agostino quickly played himself into a regular role and got off to a good start with the Habs, picking up 10 points in his first 18 games. However, he has been much quieter since then (just one goal in 18 contests since then) and has spent time as a healthy scratch as of late. With Montreal being off until Thursday, this move didn’t need to be made for a few days. 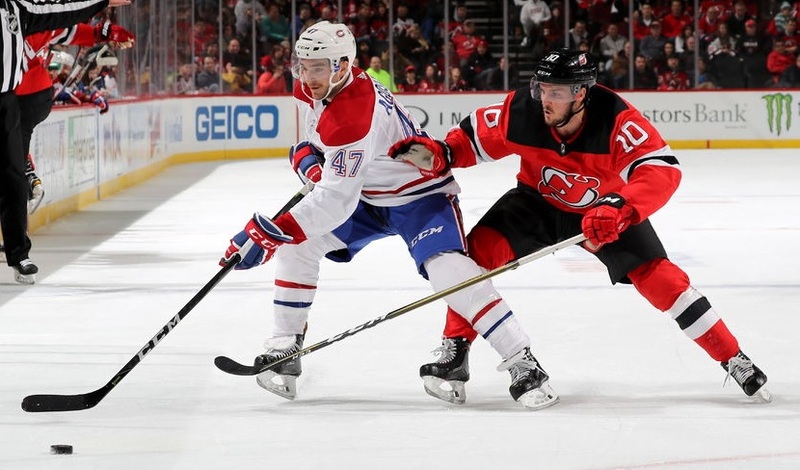 However, the Canadiens quickly filled the vacant roster spot by recalling Weise from Laval so it’s clear that they were looking to get their recent acquisition up as soon as possible. Unsurprisingly, Karl Alzner cleared waivers for the second time this season and has once again been assigned to Laval. He needed to hit the wire as he had spent more than 30 days in the NHL since last clearing and the roster spot was needed to make room for Christian Folin on the roster.